While exploring Savannah, Georgia, I discovered this monument to African Americans on the River Walk. 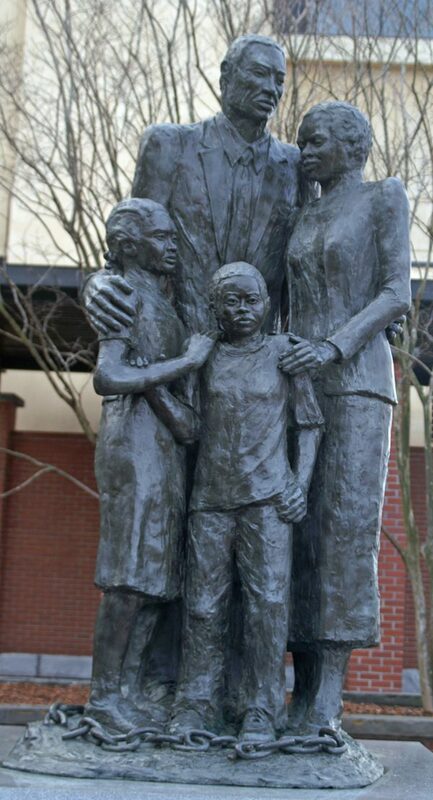 Erected on July 27, 2002, the African-American Monument depicts a family of four embracing after emancipation while chains representing slavery lie at their feet. 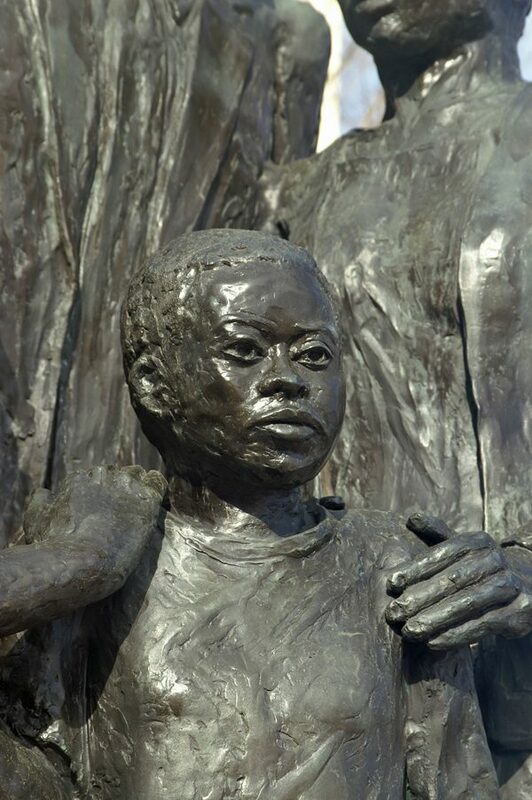 Standing just behind the Hyatt Hotel on the river walk, this beautiful monument is the first in Savannah to recognize the contributions made by African Americans. A quote from Maya Angelou is engraved on the base. The monument was designed by Savannah College of Art and Design Professor Dorothy Spradley. She was assisted by one of her students, Dan Koster, who built the architectural model for the monument. This entry was posted on Thursday, February 22nd, 2018 at 1:46 am. It is filed under Collections, Travel and tagged with African American, daughter, family, father, Maya Angelou, mother, slavery, son. You can follow any responses to this entry through the RSS 2.0 feed.